Brzeziński P, Wollina U, Espinoza-Benavides L, Chang P, Mohamed M, Geller SA. Dermatology Eponyms – sign –Lexicon (S). Part II. Our Dermatol Online. 2018;9(4):470-477. Sign seen in Klippel-Feil or Turner’s syndromes . Horrible rapid dehydration associated with a form of cholera in India, in which victims appeared to shrink and their capillaries burst, coloring the skin black and blue . The lower jaw tremors and whole skin appears shrunken with dark rings under the eyes. A sign of malarial infection with Plasmodium falciparum . Scarring of the concha due to lesions of discoid lupus erythematosus is called as Shuster’s sign and it can be present in 30% of the cases . A severe hemorrhagic reaction with necrosis, observed in rabbits which are first injected with 0.25 ml. of typhoid or certain other culture filtrates into the skin of the abdomen and which then twenty-four (eighteen to thirty-two) hours later are injected intravenously with 0.01 ml. of the same filtrate. The site of the later injection turns blue at the center and red at the periphery, the skin is glossy, smooth, and edematous, the blood vessels below the surface are ruptured and the numerous leukocytes are dead . North Asian zoonotic tickborne rickettsiosis. Found in the Chinese, Mongolian, and Siberian wild rodent populations . Furrows radiating from the mouth. A sign seen in inherited syphilis (congenital syphilis) . German ophthalmologist, 1858-1929 (Fig. 1), is known for contributions made involving war-related blindness. He studied medicine at the Universities of Halle, Berlin and Breslau, obtaining his doctorate in 1883. Afterwards he served as an assistant to ophthalmologist Ludwig Laqueur in Strasbourg, followed by several years as an assistant to Karl Ernst Theodor Schweigger in Berlin. He received his habilitation in 1890, becoming an associate professor in 1897. In Berlin he opened a private clinic at St. Maria Victoria-Krankenhaus . A blue deposit of silver in the skin, caused by exposure to silver dusts or salts. Often appears as a gray blue haze in the white of the eye. Also known as Argyria sign . Fever with a rash that can progress to hemorrhagic, as well polyarthritis and niuscle pains. Caused by a zoonotic alphavirus spread by the bite of infected mosąuitos . This is a metastatic umbilical lesion secondary to a primary malignancy of any viscera, stomach and colon being most common in men, and ovary in women (Fig. 2) . Figure 2: Sister Marie Joseph sign. Constant erying as a sign of congenital syphilis in infancy [11,12]. Argentinean paediatrician, 1870-1923, although some sources say that Genero Sisto was a Chilean Pediatrician and only more mentions a Dr Sisto being from Spain. But the vast majority of informations reveals that Genaro Sisto was actually from Argentina. His name can also be written “Jenaro Sixto”. He graduated from Medical School in 1985, presenting a thesis about Poliomyelitis. He then specialized as a Pediatrician in Europe. As he returned to his country of origin, he became professor of his specialty at the Medical Faculty. 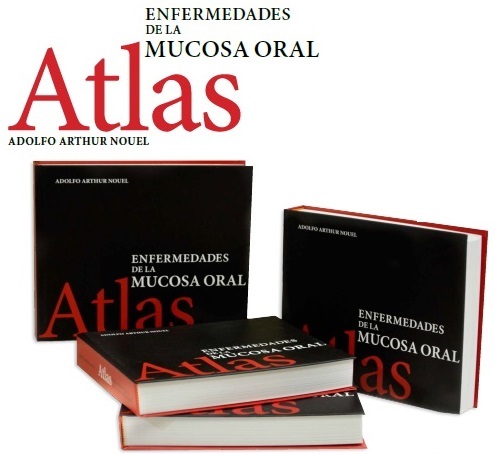 Concurrently, he joined the “Cuerpo Médico Escolar” (Unit of School Physicians) where he had a renowned career that culminated with his appointment as Director. His actions regarding Schools’ Health moved him to implement highly developed measures as they showed their effective results. Some of these measures were: the improvement of children’s nutrition by the “gota de leche” (“drop of milk”) provision and the school cafeterias, clothing for the students in need, the creation of Cooperative Associations, the inauguration of new doctors’ school practices with medical specialties, vaccination campaigns, the expansion of the “aldea sanitaria” (“healthy village”) concept, as well as special teaching methods and the treatment of “feeble kids”. He was recognized by the Parisian Medical Academy and kept assisting international congresses related to his specialty (Sánchez, 2007, p. 517-518). Currently, the Medical School of the University of Buenos Aires awards the Genaro Sisto Award triennially to the best original work about Children and Adolescent pathology or hygiene. A primary school in Buenos Aires carries his name . Sign in Kerion Celsi (Fig. 3), which consists in observing the exit of pus for each of the orifices of the hair follicles when doing lateral pressure on the area . A sign of horrific religious castration of both men and women in Russia and Romania, which can include applying fire to the breasts as well as amputation of the breasts . Leptospirosis infection. Also known as Possum sign . Slate grey colouration of the skin secondary to melanin and haemosiderin deposition. A sign of haemochromatosis . The teeth are often inerusted with a brownish matter, which adheres to them closely near the gums. A sign indicating typhous fever . The tongue in the commencement of this fever is covered with a white fur, which as the disease advances assumes a yellow tinge, and from that gradually changes to a brown, which eventually becomes almost black. Arrived at this State, it cracks and peels off, leaving the tongue smooth, dry and very red. It is then again renewed and again comes off, making these changes, in severe cases, several times in the course of the disease. A sign indicating typhous fever . 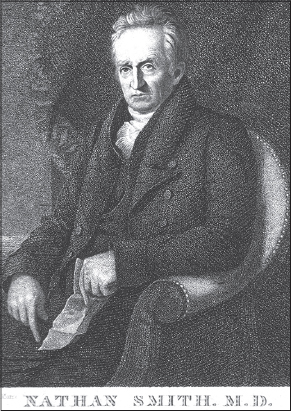 American physician, 1762-1828 (Fig. 4). One of New England’s best-known and respected physicians. He was a skilled surgeon, teacher, writer, and practitioner. He single-handedly founded Dartmouth Medical School, and co-founded the University of Vermont College of Medicine, the medical school at Bowdoin College, and the Yale School of Medicine. Smith decided to study medicine at age 24, after seeing an operation performed by Dr. Josiah Goodhue. Smith spent three years with Dr. Goodhue at Putney, Vermont, then opened his own practice at Cornish, New Hampshire. He later went to the Harvard College’s medical department where he obtained his MB in 1790. In 1803 Smith had gone to the University of Edinburgh where he attended medical classes for a year. Smith founded the medical department at Dartmouth College. Initially the only member of the Dartmouth Medical School faculty, Smith taught anatomy, chemistry, surgery, and clinical medicine. He essentially served as dean and treasurer of the medical school, also. Smith emphasized experience rather than theory, and he largely eschewed bleeding and purging, favoring support of the body’s own healing powers and attentiveness to the patient’s comfort. Using these principles, he was a consultant on the child Joseph Smith, the future founder of the Latter Day Saint movement, saving his leg from amputation. At Yale Smith was the first professor of physic, surgery and obstetrics . Japanese rat bit fever . 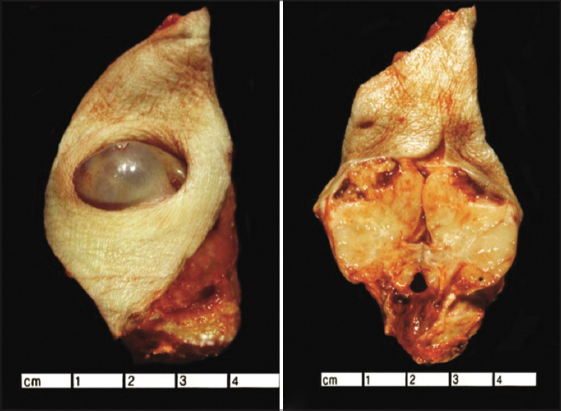 Nodular, cystic skin lesions that may be inflamed and itchy, can have eye and CNS involvement. Caused by exposure to cat or dog faeces containing eggs from the zoonotic Spirometru tapeworm. These pseudophyllidean cestodes can have many hosts including monkeys, snakcs, frogs, pigs, and weasels . Brocq methodically scraping is a clinical diagnostic method of psoriasis and is scraping by a teaspoon of plaque psoriasis with what you get initially the formation of small white flakes in the form of chips. The spider angioma of liver eirrhosis . Spoon-shaped finger nails, dysphagia, and glossitis. A sign of Plummer-Vinson syndrome, iron deficiency anaemia, and hepatic disease (Fig. 5). Also called koilonychia . Figure 5: Spoon Nail sign. Henry Stanley Plummer, M.D. (1874-1936), was a prominent internist and endocrinologist who, along with William Mayo, Charles Mayo, Stinchfield, E. Starr Judd, Christopher Graham, and Donald Balfour founded Mayo Clinic (Fig. 6). Figure 6: Henry Stanicy Plummer. 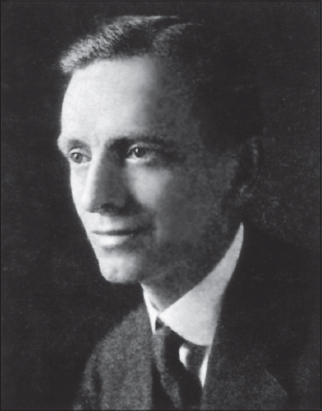 Plummer’s work in internal medicine and endocrinology led to several advances important advances in the specialty, including: Plummer-Vinson syndrome, Plummer’s nails, treatment of goiters with iodine, Plummer’s disease, and Plummer’s sign (used for diagnosis of Graves’ disease). He also directed the development of Mayo’s clinical laboratories, as well as bringing in Louis B. Wilson in 1907 to develop and manage the diagnostic and research labs, and was the first to utilize X-ray machines as a diagnostic tool at the Clinic. 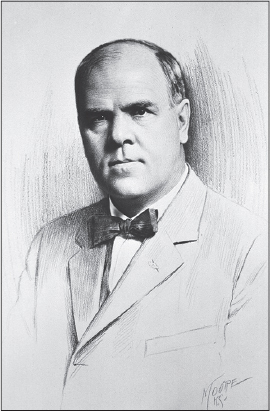 Will Mayo called Plummer “a pioneer in the development of X-ray diagnosis and therapy”. But, perhaps one of his greatest contributions to medicine was the development and implementation of the integrated private medical group practice. Plummer is considered by many to be the “architect of the modern medical practice.” His innovative contributions to medical systems and building designs, as well as his early understanding of the importance of the diagnostic and research aspects of the clinical practice, allowed for the creation of the integrated group practice, as well as medical specialization . American physician (1890-1959), was a surgeon at the Mayo Clinic. He was a doctor of Bronchoscopy. 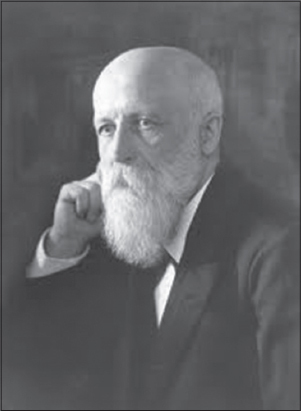 Vinson is best known for his contribution to medicine in the study of Plummer–Vinson syndrome. There is an award given in his name to promising students in Chemistry at Davidson College, NC . Difficulty in descending a stairway. A sign found with locomotor ataxia or tabes dorsalis [11,24–27]. Stafne’s sign is seen in progressive systemic sclerosis. Widening of the periodontal ligament space secondary to increase in the collagen synthesis and increase in the bulk of the ligament, this is accommodated at the expense of alveolar bone, thus causing an increase in the width of the periodontal ligament space . The sign was described by Edward C Stafne. Ichthyosis, morbid development of the papillae and thickening of the epidermic lamellae . Also called Porcupine sign. Synonim of erythema infectiosum . German physician (Fig. 7), 1860-1960. He was a German internist, epidemiologist and medical historian. Figure 7: Georg Matthias Martin Josef Sticker. From 1880 he studied medicine at the Universities of Strasbourg, Bonn and Göttingen. In late March 1884, he received his doctorate in Bonn with a topic in the field of anatomy (description of a skull with obsolete traumatic unilateral mandibular dislocation). 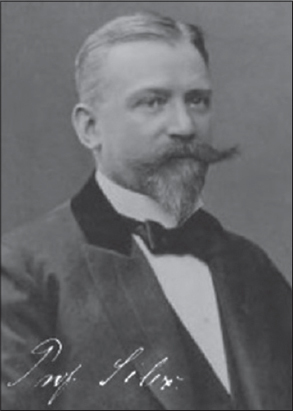 From 1884 to 1887 he worked as an assistant to the internist Franz Riegel at the University of Giessen, was already in 1886 initially in Weilburg and then from 1887 to 1895 settled in Cologne as a practicing physician. From 1895 Sticker was the assistant professor for medical history at the University of Giessen as a polyclinic assistant. In 1895 he habilitated there for the subject of internal medicine. In Gießen he was also appointed in 1898 as an associate professor. In 1897 he had been one of the participants in the German expedition led by Georg Gaffky and Robert Koch, which had been sent to Bombay to investigate the bubonic plague that had erupted there. Sticker was able to identify flea and rat as intermediaries of the epidemic. In 1899 he was the first to describe the Ringelröteln. From 1920 he taught as a full honorary professor at the University of Münster. 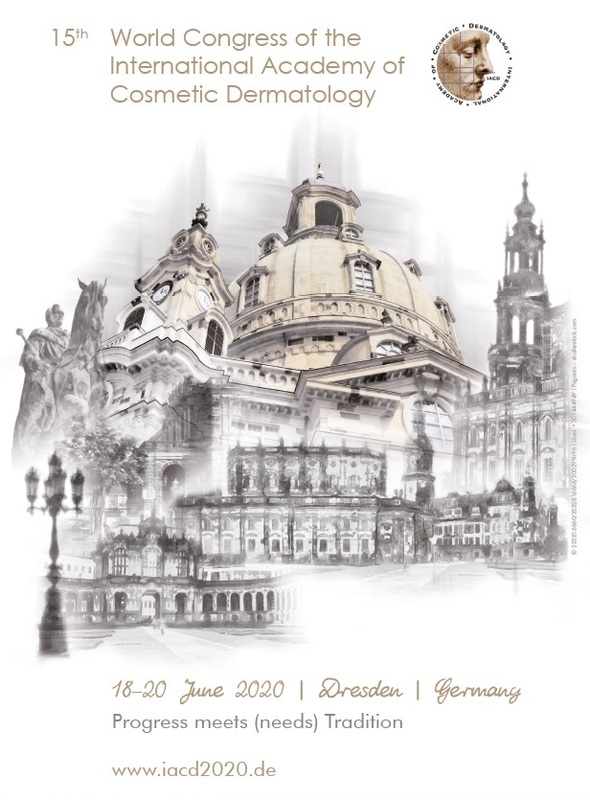 In 1922 he became a successor to Friedrich Helfreich (1842-1927), who had taught 1896-1919 as Extraordinarius “History of Medicine, Medical Geography and Medical Statistics”, full professor of the history of medicine at the University of Würzburg . The surface of the tongue is coated with a thick white fur, through which protrude bright scarlet red papillae. A sign indicating scarlet fever. Also known as White Strawberry Tongue. Synonim of Linear IgA Bullous Disease. In this disease round or oval blisters filled with clear fluid may arise from normal-looking skin or from red flat or elevated patches. The blisters may be small (vesicles) or large (bullae). Typically, the blisters are arranged in rings (annular lesions) and they may form a target shape. The tendency for new blisters to arise in a ring around an old one is called the string of beads sign, and groups of small blisters may be described as a cluster of jewels [34,35]. Feeling of suffocation, tetanic convulsions with arched back and blueness of the face, accompanied by raised eyebrows and an evil open grin, called risus sardonicas . A sign indicating poisoning with strychnine. 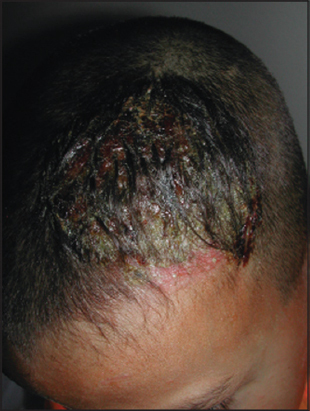 This presentation is similar to signs of a tetanus infection caused by the anaerobic bacterium Clostridium tetani, an important differential is the time between infection and showing the first signs in tetanus is at least five days, whereas strychnine poisoning shows signs ten to twenty minutes after exposure. Also known as Nux Vomica sign after the evergreen tree it is derived from named Strychnos nux vomica. Marie Antoinette syndrome designates the condition in which scalp hair suddenly turns white. The name alludes to the unhappy Queen Marie Antoinette of France (1755-1793), whose hair allegedly turned white the night before her last walk to the guillotine during the French Revolution. She was 38 years old when she died. Although the actual incidence is rare, this stigmatizing phenomenon, which has captured storytellers’ imagination like few other afflictions, occurs to protagonists as a sign of grave sorrow in religious texts as early as the Talmud. History also records that the hair of the English martyr Sir Thomas More (1478-1535) turned white overnight in the Tower of London before his execution. More modern accounts refer to the turning white of hair in survivors of bomb attacks during World War II. In 1957, an American dermatologist witnessed a 63-year-old man’s hair turn white over several weeks after he had fallen down some stairs. The patient noticed loss of hair but no bald patches and 17 months later had extensive vitiligo. The term canities subita has also been used for this disorder. Today, the syndrome is interpreted as an acute episode of diffuse alopecia areata in which the very sudden “overnight” graying is caused by the preferential loss of pigmented hair in this supposedly immune-mediated disorder. This observation has led some experts to hypothesize that the autoimmune target in alopecia areata may be related to the melanin pigment system . Burning pains in mouth and throat with vomit containing white lumps of mucous and altered brown or black blood. Stains on skin and mucous membranes appear bright white, brown or black and stains clothing brown . A sign of sulphuric acid poisoning. Characterized by several of the following abnormalities: lack of sweat and sebaceous glands, distress in warm weather, total or partial anodontia, defective hair, and saddle-type nose . Signs of ectodermal dysplasia, an X-linked recessive trait. Rowland Payne described this sparing sign in connection with the use of sunbeds. The patients are usually young females having a distinct type of uniform tan on body that spares a palm sized area over sacrum and smaller symmetrical areas over the scapular regions on back. The reason is said to be due to skin blanching by vitropression, while lying on transparent tanning bed surface. Since UVA-induced delayed pigmentation is an oxygen-dependent process, the pressure sites are spared of the tan . Halo nevi or Sutton nevi are common benign skin lesions that represent melanocytic nevi in which an inflammatory infiltrate develops, resulting in a zone of depigmentation surrounding the nevus [41,42]. Sutton originally described the lesion in 1916 as leukoderma acquisita centrifugum. American dermatologist (Fig. 8), 1878-1952. He is known as the namesake for Sutton’s disease, also known as aphthous ulceration, or canker sores. He worked as a physician in Kansas City from 1905 until his retirement in 1940 . Figure 8: Richard Lightburn Sutton. 1. Altay N, Yüce HH, Aydo?an H, Dörterler ME. Airway management in newborn with Klippel-Feil syndrome. Braz J Anesthesiol. 2016;66:551-3. 2. Craig JP. Some observations on the neutralization of cholera vascular permeability factor in vivo. J Infect Dis. 1970;121:Suppl 121:100+. 3. Thomsen HK, Danielsen L, Nielsen O, Aalund O, Nielsen KG, Karlsmark T, et al. Epidermal changes in heat and electrically injured pig skin. A light microscopic study of the influence of heat energy intensity and electrical current frequency. Acta Pathol Microbiol Immunol Scand A. 1983;91:297-306. 4. Al-Refu K, Goodfield M. Scar classification in cutaneous lupus erythematosus: morphological description. Br J Dermatol. 2009;161:1052-8. 5. Freund J. Hemorrhages in tuberculous guinea pigs at the site of injection of irritants following intravascular injections of injurious substances (Shwartzman phenomenon). J Exp Med. 1934;30;60:669-85. 6. Dong X, Chen XP, Liu N, Dumler SJ, Zhang YZ. Co-circulation of multiple species of Rickettsiales bacteria in one single species of hard ticks in Shenyang, China. Ticks Tick Borne Dis. 2014;5:727-33. 7. Gétaz L, Posfay-Barbe KM, Cossio N, Villarroel-Torrico M. Congenital syphilis in 2 children in a Bolivian prison. Rev Esp Sanid Penit. 2017;19:98-100. 8. Triarhou LC. The Berlin Ophthalmologist Bernhard Pollack. Hardcover – April 8, 2011. 9. Brzeziński P, Wass J, White K, Daboul MW, Arlt W, van den Hombergh P, et al. Dermatology eponyms – phenomen/sign – Dictionary (A) – continued. N Dermatol Online. 2011;2:27-34. 10. Grossi-Soyster EN, Cook EAJ, de Glanville WA, Thomas LF, Krystosik AR, Lee J, et al. Serological and spatial analysis of alphavirus and flavivirus prevalence and risk factors in a rural community in western Kenya. PLoS Negl Trop Dis. 2017;11:e0005998. 11. Brzezinski P, Godoy Gijón E, López-López J, Toyokawa T, Scrimshaw NS, Malard O, Bimbi C. Dermatology eponyms – phenomen/sign – Lexicon (F). Our Dermatol Online. 2012;3:66-78. 12. Brzezinski P, Pessoa L, Galvão V, Barja Lopez JM, Adaskevich UP, Niamba P, et al. Dermatology Eponyms – sign –Lexicon (H). Our Dermatol Online. 2013;4:130-43. 13. Agüero AL, Milanino A, Bortz JE, Isolabella M. Precursores de la Antropometría Escolar en la Ciudad de Buenos Aires: Luis Cassinelli, Genaro Sisto, Juan P. Garrahan, Saúl Bettinotti y Cornejo Sosa. Eä J. 2012;4:1-19. 14. Wilson JD, Roehrborn C. Long-term consequences of castration in men: lessons from the Skoptzy and the eunuchs of the Chinese and Ottoman courts. J Clin Endocrinol Metab. 1999;84:4324-31. 15. Brzeziński P, Chiriac A, Arenas R, Dori GU, Monteiro R, Cairncross S, et al. Dermatology Eponyms – sign –Lexicon (L). Our Dermatol Online. 2014;5:217-30. 16. Amatya B. Ashy dermatosis: A comprehensive review. Our Dermatol Online. 2017;8:143-8. 17. Chakraborty S, Sarma N. Scrub Typhus: An Emerging Threat. Indian J Dermatol. 2017;62:478-85. 18. Wirthlin LS. Nathan Smith (1762-1828) Surgical Consultant to Joseph Smith. BYU Studies copyright 1977; p.1-18. 19. Sato R, Kuriyama A, Nasu M. Rat-bite fever complicated by vertebral osteomyelitis: A case report. J Infect Chemother. 2016;22:574-6. 20. Okino T, Ushirogawa H, Matoba K, Nishimatsu SI, Saito M. Establishment of the complete life cycle of Spirometra (Cestoda: Diphyllobothriidae) in the laboratory using a newly isolated triploid clone. Parasitol Int. 2017;66:116-8. 21. Silvério Ade O, Guimarães DC, Elias LF, Milanez EO, Naves S. Are the spider angiomas skin markers of hepatopulmonary syndrome? Arq Gastroenterol. 2013;50:175-9. 22. Chang P, Domínguez K. [Nail diseases in elderly. Report of 71 cases]. Our Dermatol Online. 2016;7:385-90. 23. Habermann TM, Ziemer RE, Lantz JC. Images and reflections from Mayo Clinic Heritage. Henry S. Plummer. Mayo Clin Proc. 2002;77:1182. 24. Brzeziński P, Senanayake MP, Karunaratne I, Chiriac A. Dermotology eponyms – sign – Lexicon (R): Part 1. Our Dermatology Online. 2017;8:114-20. 25. Brzeziński P, Passarini B, Nogueira A. Dermatology eponyms – phenomen/sign –dictionary (C). N Dermatol Online. 2011;2:81-100. 26. Brzeziński P, Chang P, Fan R-Y, Krishnan V, Peh WCG, Francès P, et al. Dermatology Eponyms – sign –Lexicon (P). Part 1. Our Dermatol Online. 2016;7:244-52. 27. Brzezinski P, Sinjab AT, Masferrer E, Gopie P, Naraysingh V, Yamamoto T, et al. Dermatology Eponyms – sign –Lexicon (G). 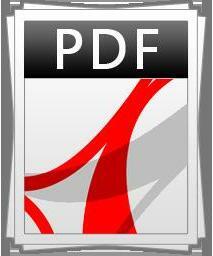 Our Dermatol Online 2012;3:243-57. 28. Geller SA, de Campos FPF. Sister Mary Joseph nodule: it does not bode well. Autops Case Rep. 2014;4:5-7. 29. Mohamed M, Belkahla M, Hammedi F, Belhadjali H, Zili J. Erythema nodosum induced by kerion celsi in a Tunisian child: a case report. Our Dermatol Online. 2016;7:351-2. 30. Stafne EC Austin LT. A characteristic dental finding in acrosclerosis and diffuse scleroderma. Am J Ort Oral Surg. 1944;30:c25-c9. 31. Wiersbitzky S, Schwarz TF, Bruns R, Jäger G, Bittner S, Weidemann H, et al. [Seroprevalence of human parvovirus B 19 antibodies (Sticker’s disease/erythema infectiosum) in the DRG population]. Kinderarztl Prax. 1990;58:185-9. 32. Enke U. Die Medizinische Fakultät der Universität Gießen: Institutionen, Akteure und Ereignisse von der Gründung 1607 bis ins 20. Jahrhundert. Franz Steiner Verlag Stuttgart 2007. 33. Alain Gilbert, Giorgio Pivato. Obstetrical palsy: The French contribution. Semin Plast Surg. 2005;19:5-16. 34. Abreu Velez AM, Brown VM, Howard MS. Linear IgA bullous disease with possible immunoreactivity to the basement membrane zone and dermal blood vessels. Our Dermatol Online. 2014;5:71-3. 35. Mohamed A Al-Kamel M. Clinical diagnosis and a short-term treatment of bullous pemphigoid in an adult Yemeni female: A case report. Our Dermatol Online. 2016;7:312-5. 36. Brzeziński P, Chiriac A, Rath SK. Dermatology Eponyms – sign –Lexicon (N). Our Dermatol Online. 2014;5:442-7. 37. Navarini AA, Nobbe S, Trüeb RM. Marie Antoinette syndrome. Arch Dermatol. 2009;145:656. 38. Nastoulis E, Karakasi MV, Couvaris CM, Kapetanakis S, Fiska A, Pavlidis P. Greenish-blue gastric content: Literature review and case report on acute copper sulphate poisoning. Forensic Sci Rev. 2017;29:77-91. 39. Segurado Rodríguez MA, Ortiz De Frutos FJ, Cornejo Navarro P, Rodríguez Peralto JL, Sánchez Del Pozo J, Guerra Tapia A, et al. [Hypohidrotic ectodermal dysplasia: A cause of fever of unknown origin]. An Esp Pediatr. 2002;56:253-7. 40. Rowland Payne CM. The sunbed suntan sacroscapular sparing sign. Dermatology 1995;190:172. 41. Martini M. A novel strategy to protect Sutton’s nevi during forced or voluptuary exposition to sun rays. Our Dermatol Online. 2016;8:268-71. 42. 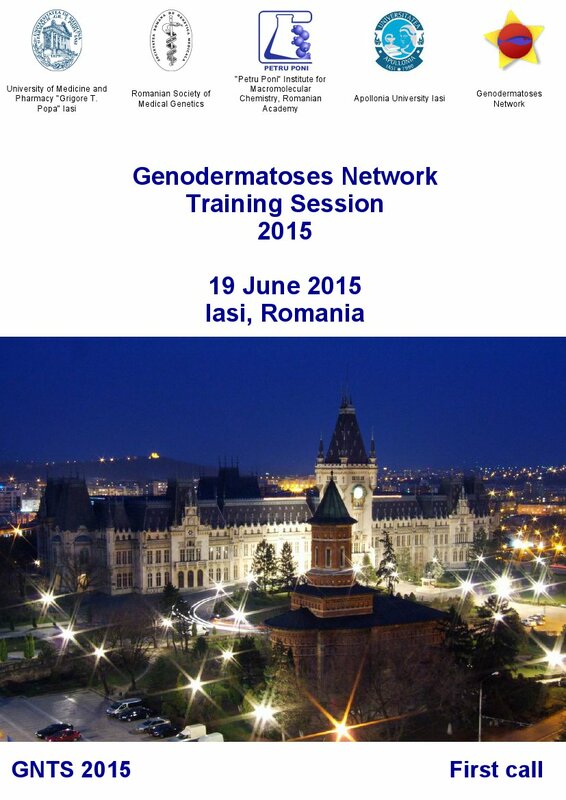 Wollina U. Nevi presenting a halo: Sutton nevus, Meyerson nevus, and Wollina-Schaarschmidt halo-like dermatosis. Our Dermatol Online. 2017;8:149-51. 43. [No authors listed]. RICHARD Light burn Sutton. J Am Med Assoc. 1952;149:1662.